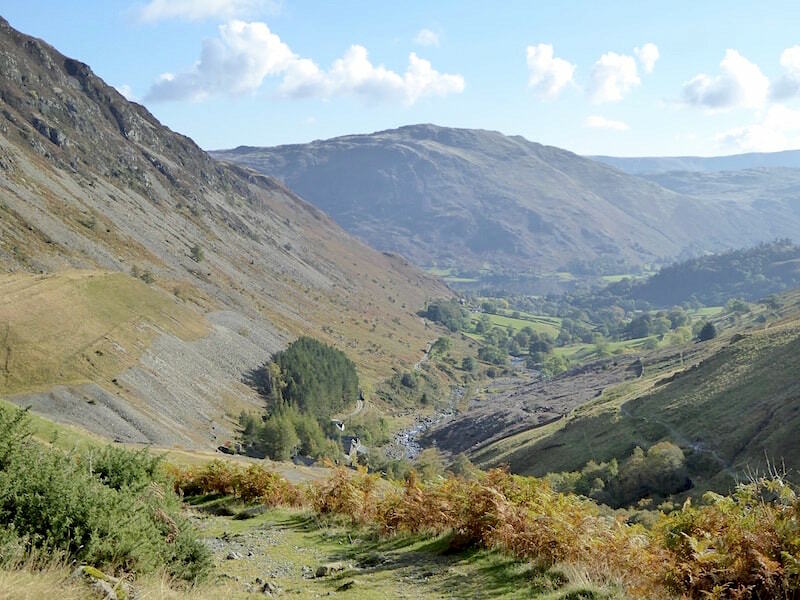 The forecast for the day promised dry, calm conditions so we decided to make the most of them by taking a walk up to Raise from Glenridding. The night had been cloud free and cold so we thought there might be the possibility of seeing a temperature inversion somewhere along the way, and we weren’t disappointed, although we were probably a little late to see the very best of it. 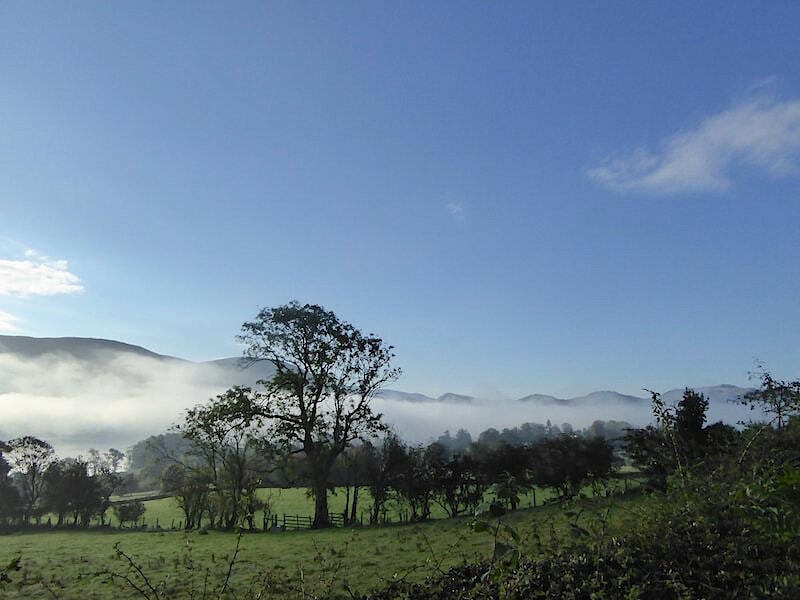 The white cloud between the trees and the fell tops is the inversion hanging over Ullswater, taken as we were driving over to Glenridding. The inversion looking very much like a dust storm rolling in across the water. 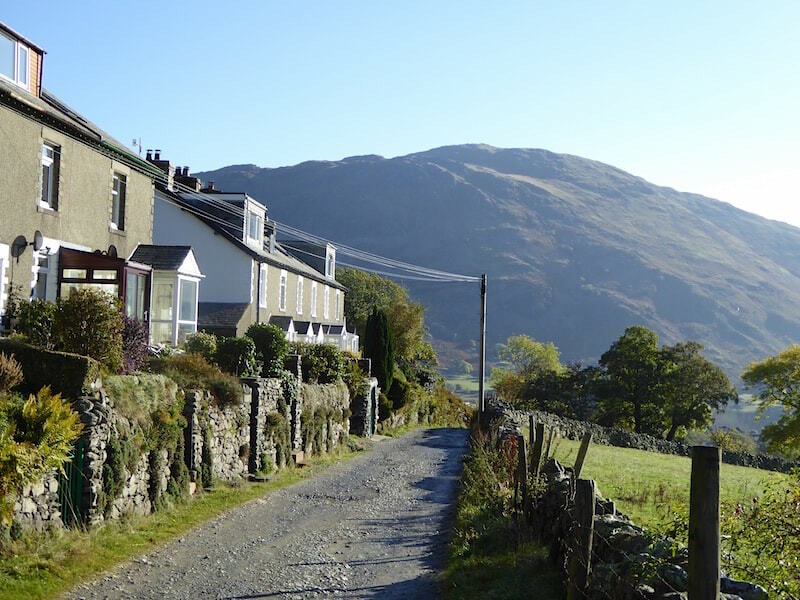 We parked in Glenridding and now we are making our way up to the Greenside Road. 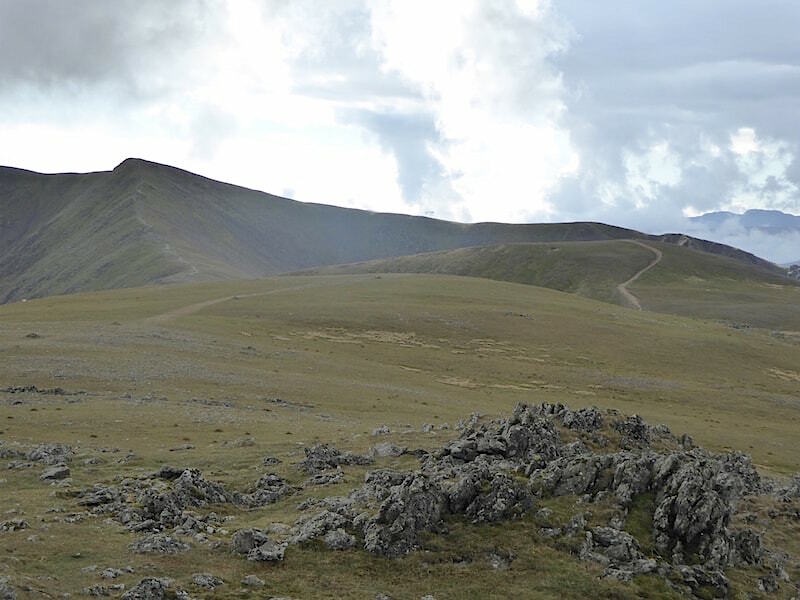 Lots of walkers around but all of them headed off towards Helvellyn, nobody was going where we went so we had everything pretty much to ourselves. 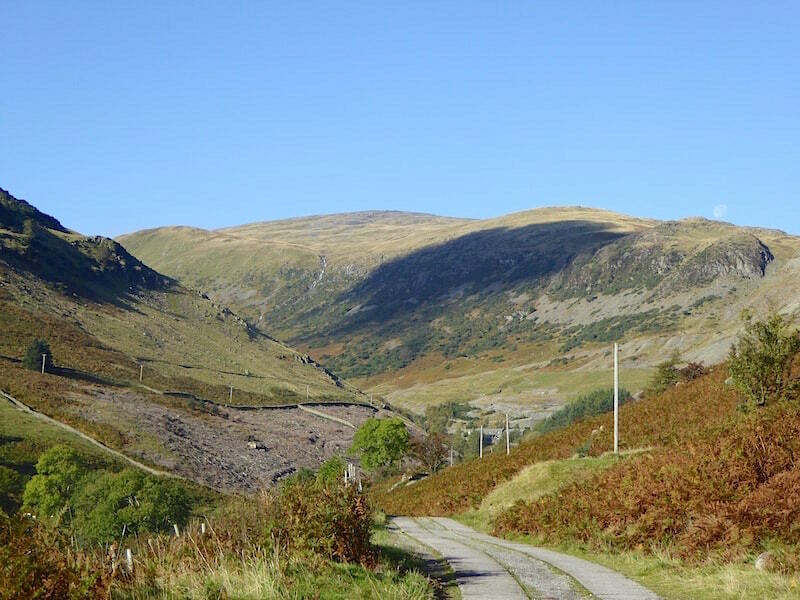 The lower slopes of Sheffield Pike are to the left behind the cottages on Greenside Road. 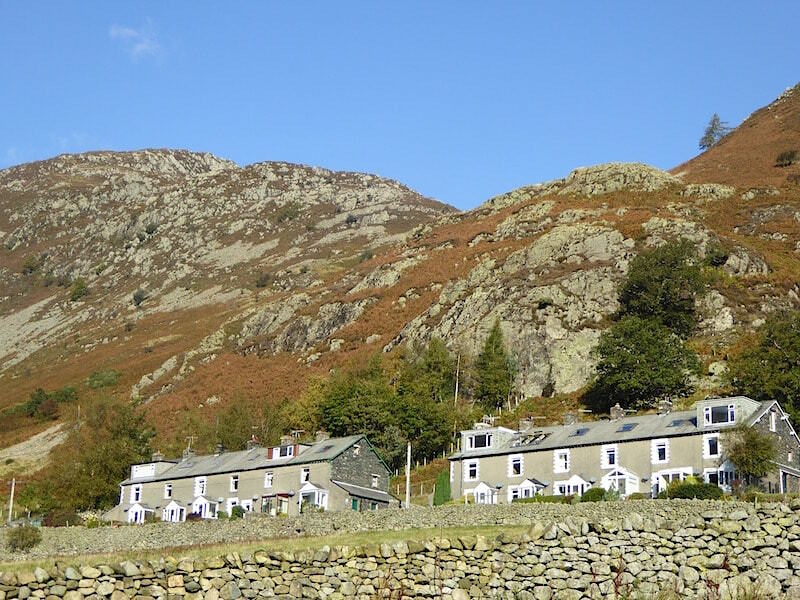 The cottages were originally built to house the mine workers, now they house holiday makers. 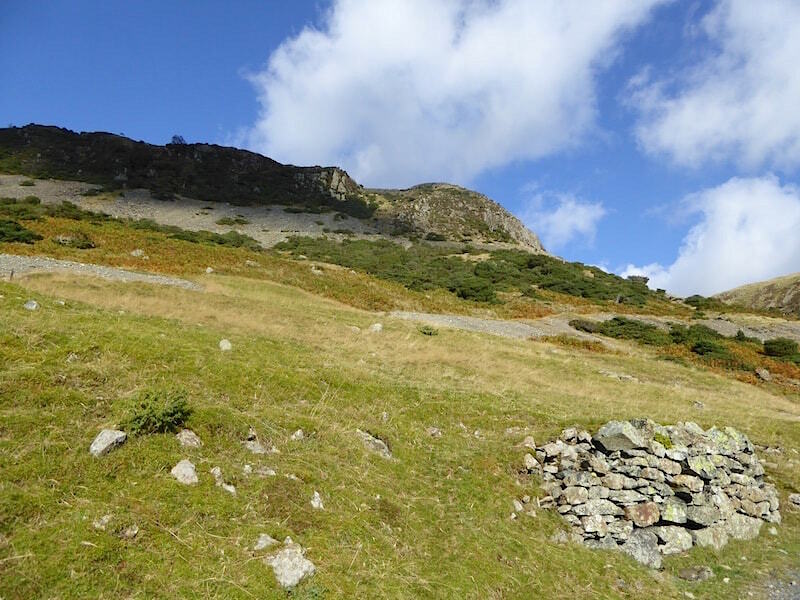 A look back at Place Fell as we walk up the Greenside Road. 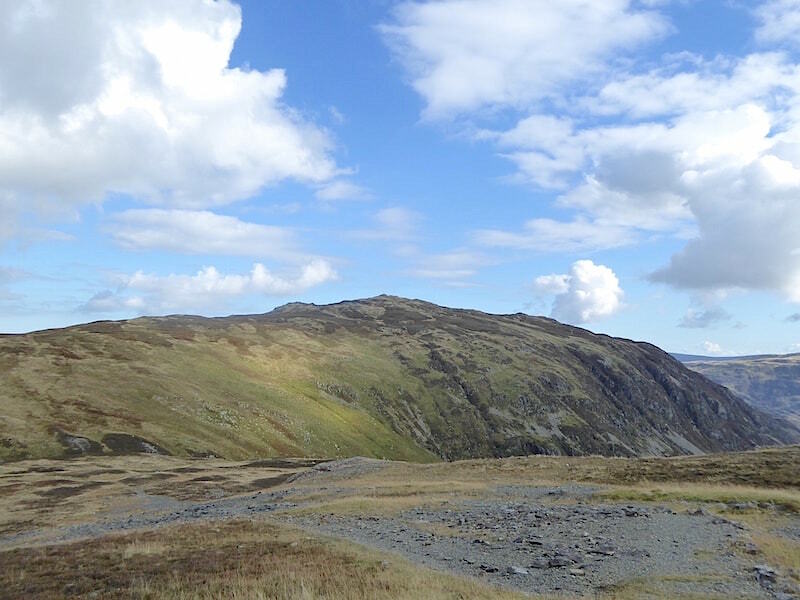 Looking ahead to the Greenside Mine area. 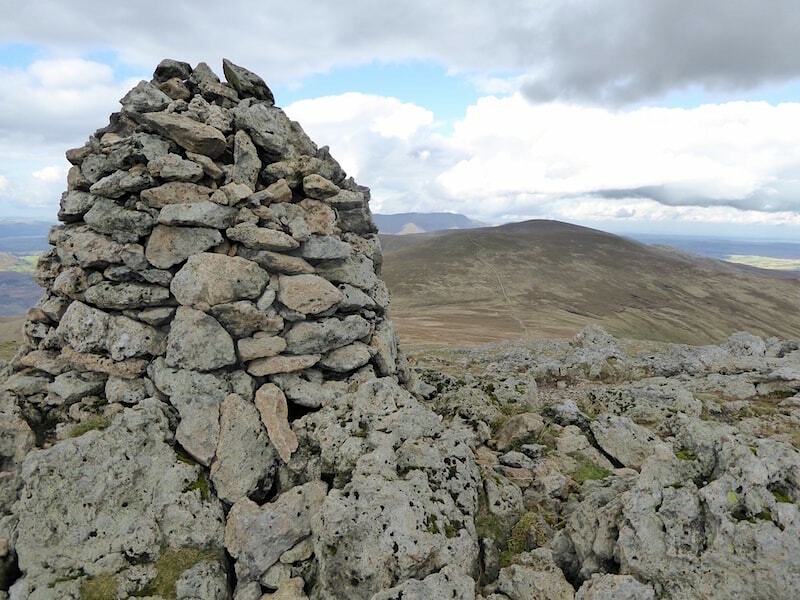 The highest fell in the centre is Raise, and to the right of it is a rounded hump known as Stang, and to the right and below Stang is a rocky section called Stang End. You couldn’t call it anything else really, could you? 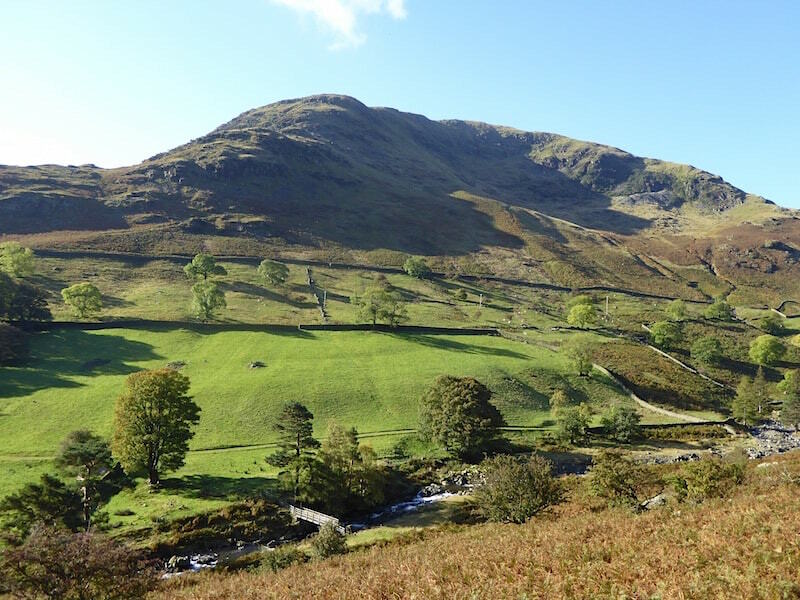 A view of Birkhouse Moor over Glenridding Beck on a really lovely morning. Looking up towards Stang End. From the mine the path rises in a series of zig-zags and goes around the base of Stang End. 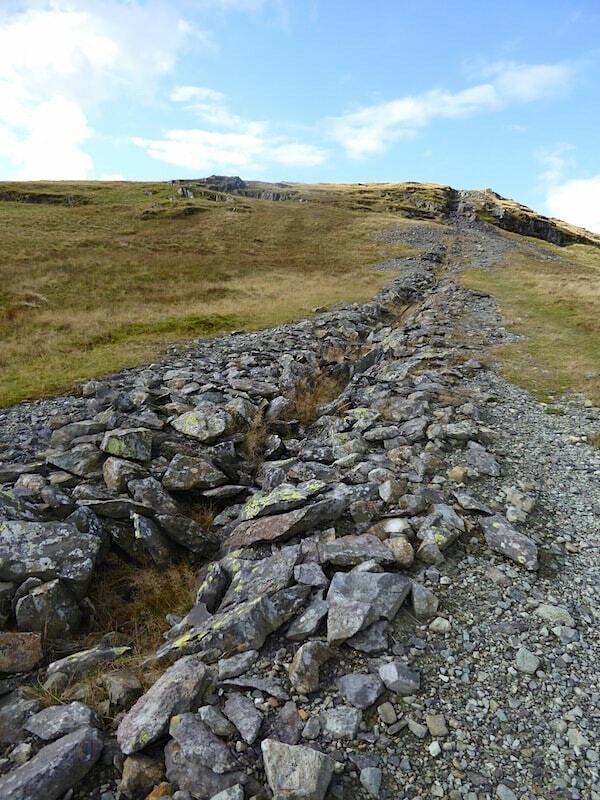 Some of the old leats, or water channels, which brought water from the beck for use in the mining operations. 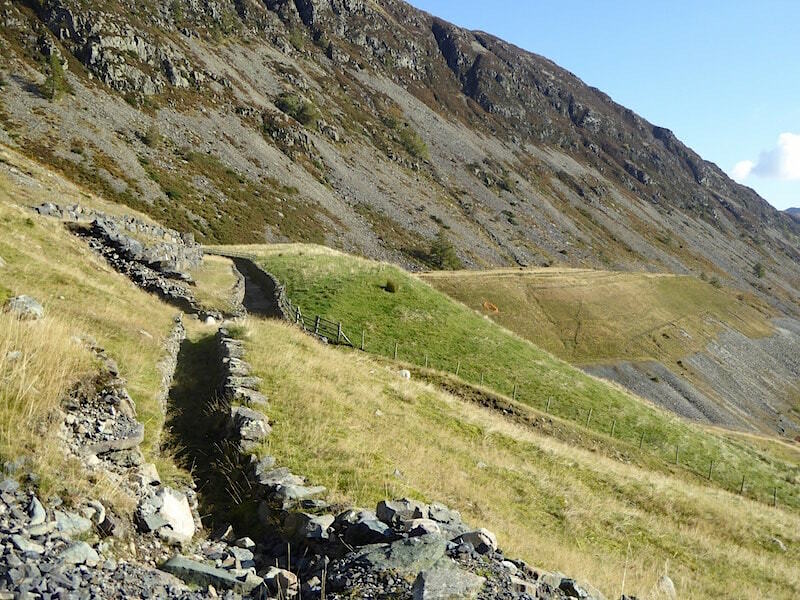 The path we are standing on is one of the zig-zag sections taking us higher above the old mine buildings. 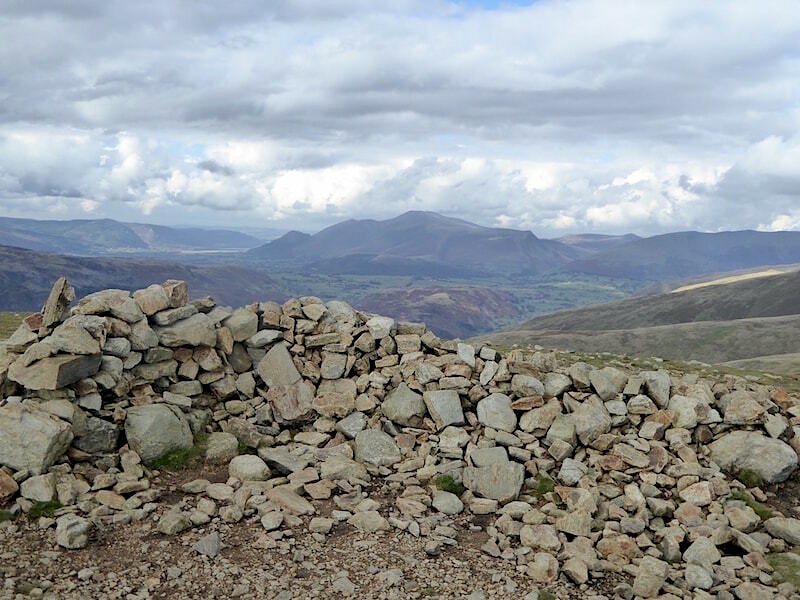 There’s a good view of Place Fell from up here. From the next zig-zag section a view of Helvellyn Lower Man to the right of Catstycam, that’s the one in the shade with the pointed peak. 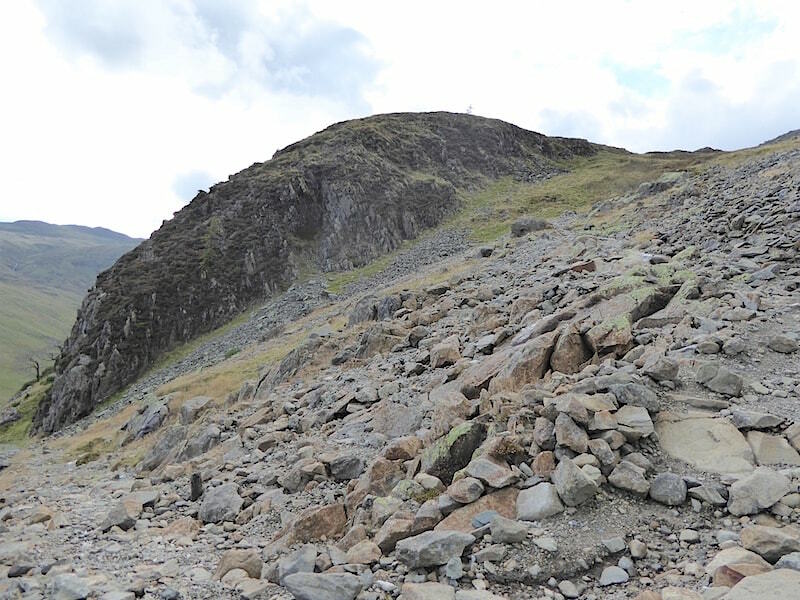 The start of the Striding Edge route to Helvellyn can be seen to the left of Catstycam. 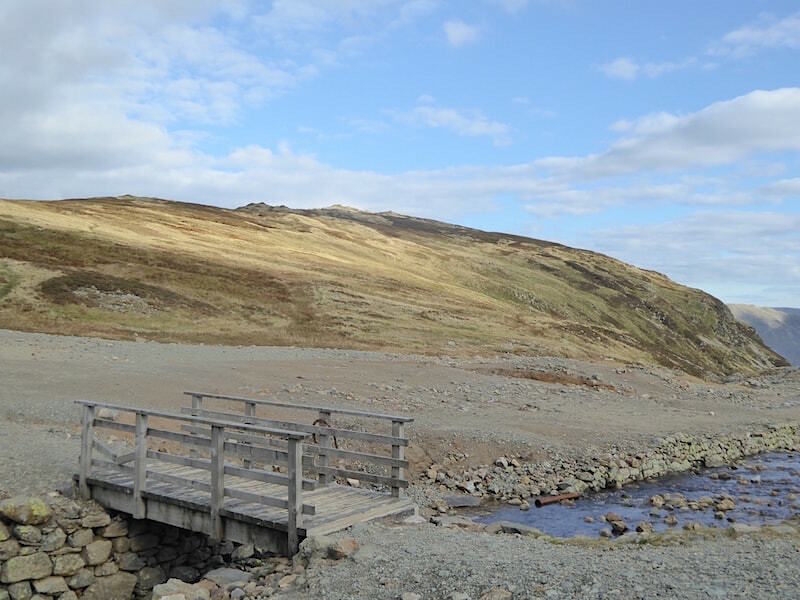 The ruins of old mine buldings, spoil heaps and rusty pipes are scattered around the area. 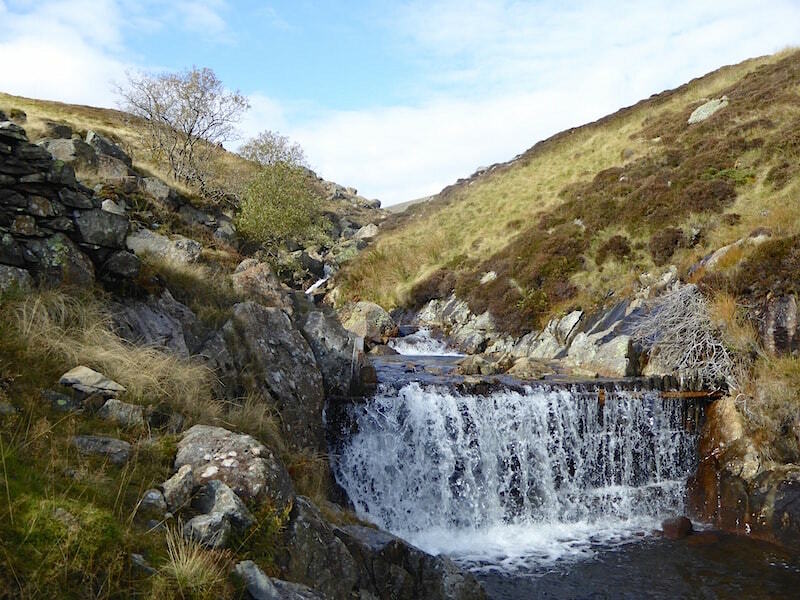 One of the weirs in Swart Beck, the source of water for the mining operations. 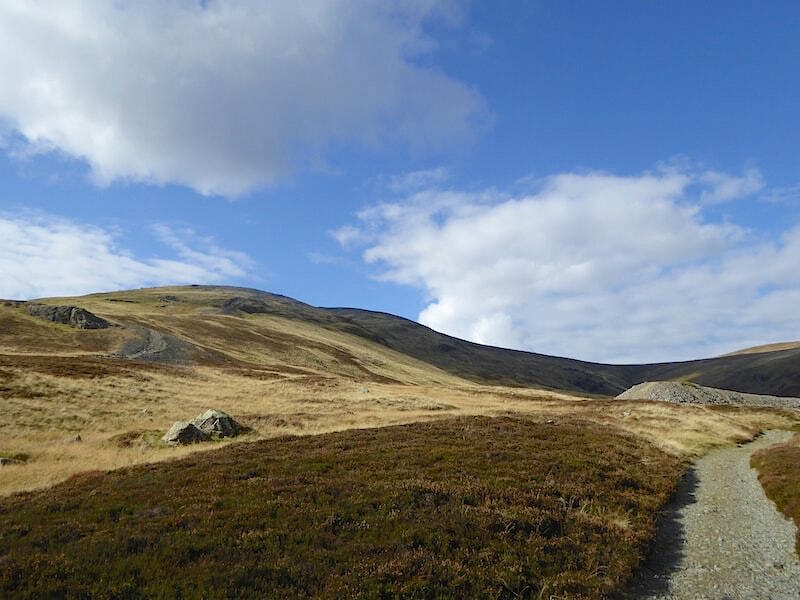 Back out of Swart Beck and onto the Sticks Pass path so now we head across to the chimney path on the left. More about the chimney later on. 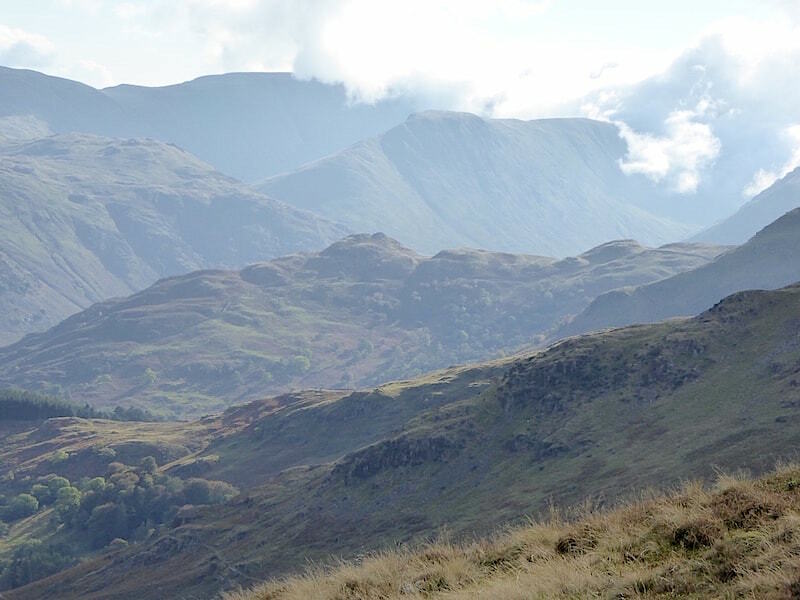 Looking across to the Eastern and Far Eastern fells as we cross from one path to the next, and noticing the cloud beginning to build. 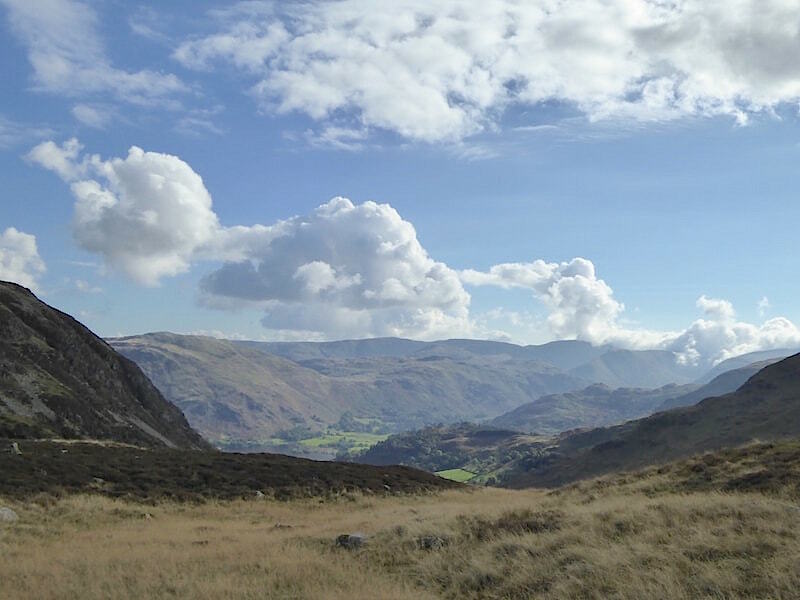 High Street on the skyline and the cloud starting to spill over Gray Crag, which is just below and to the right of it. 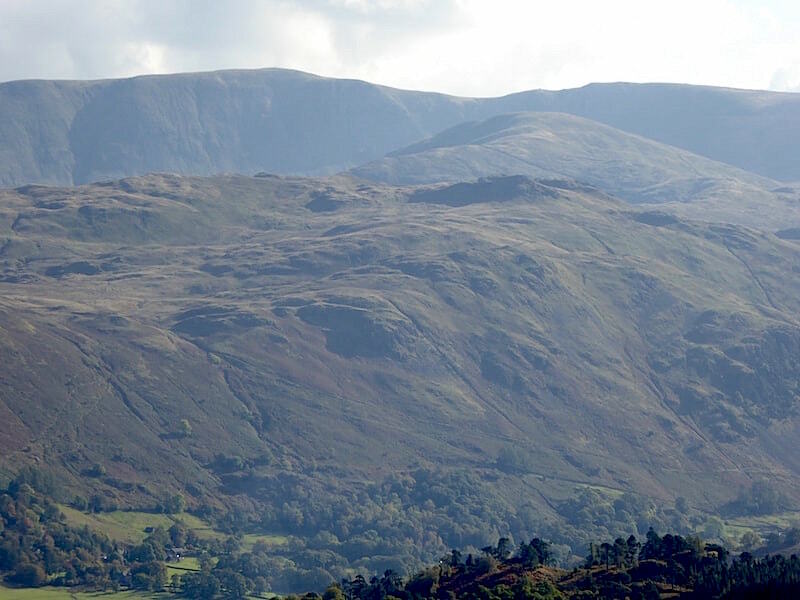 A hazy view over to High Raise on the left skyline, and High Street on the right skyline. 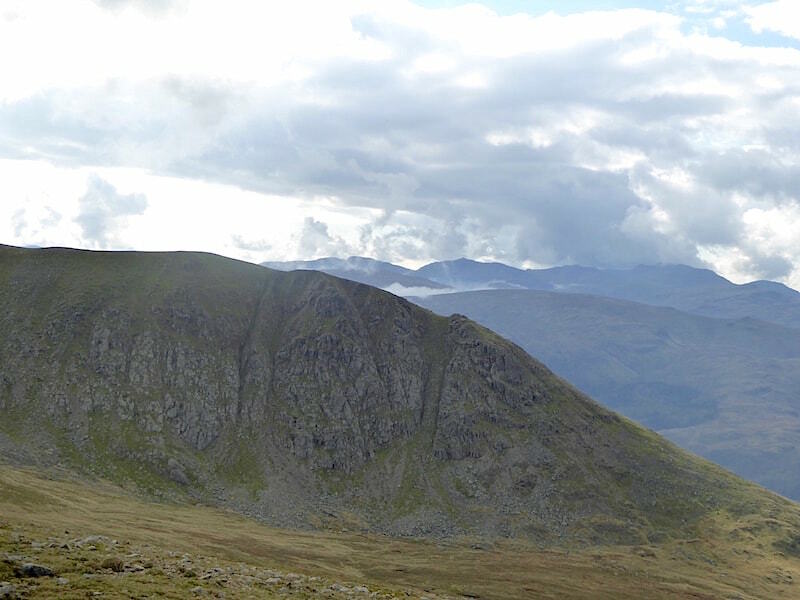 Just below the dip between the two is Rest Dodd, and then below that are the two rocky summits of Angletarn Pikes. Looking over at the path which leads on to The Chimney. From the path I take a look back at Sheffield Pike. 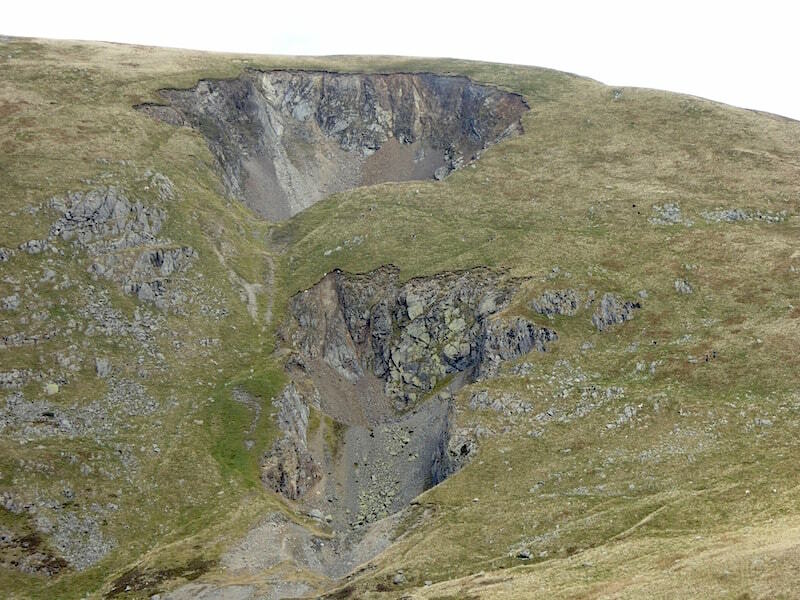 A close up of two enormous holes in Green Side, the result of the collapse into the mining levels below. What remains of the old collapsed chimney flue. Still following the path of the flue through the cutting. 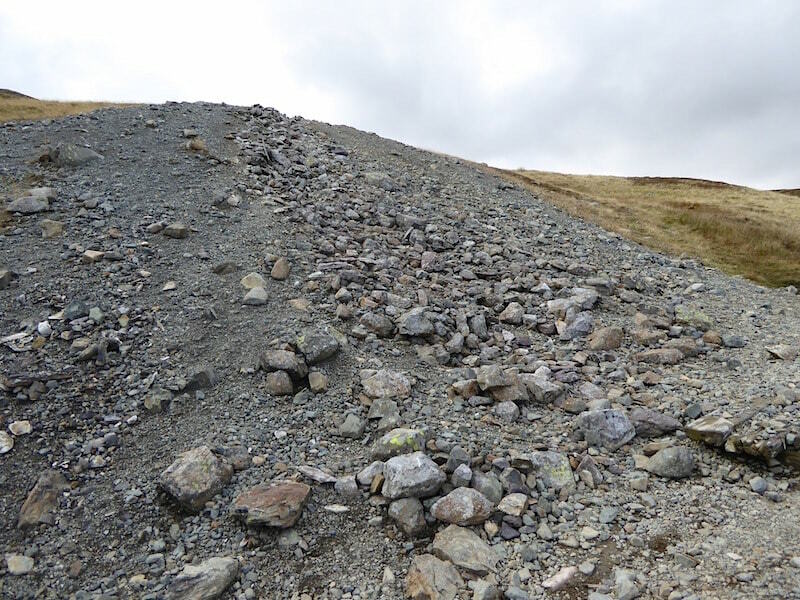 Spoil heaps spreading out like fingers below the enormous holes over on Green Side. 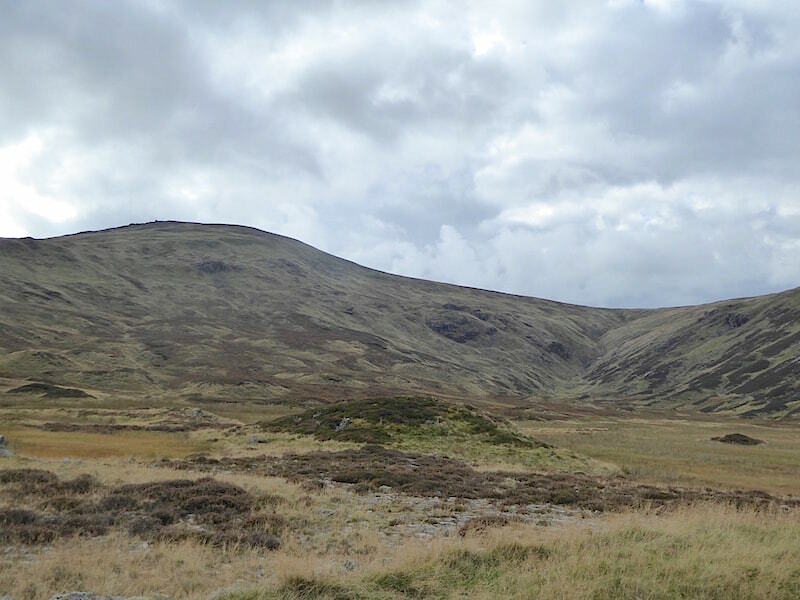 The view of the heaps is better if you are on Green Side and looking down at them, from this side you only get the foreshortened view. 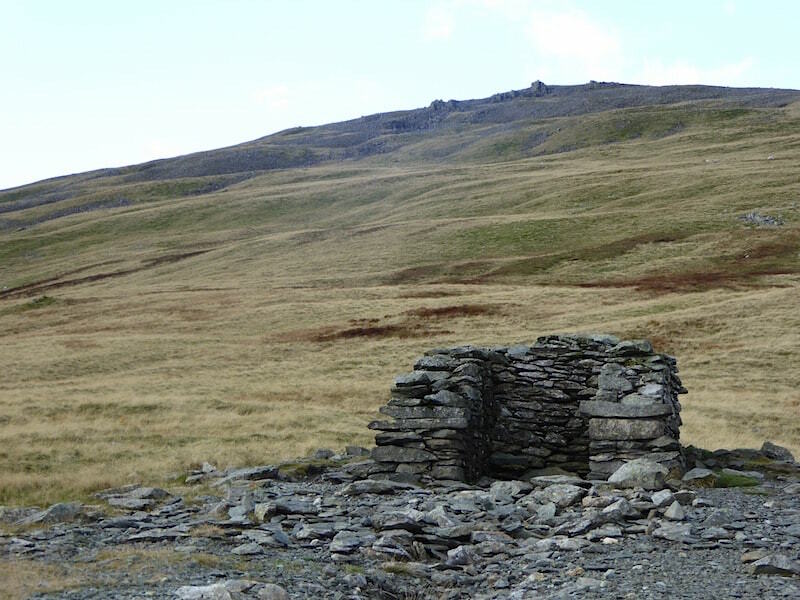 Here we are, at what remains of ‘The Chimney’, with a view up towards Raise’s rocky summit area. Looking eastward towards the Pennines, on the horizon, from The Chimney. 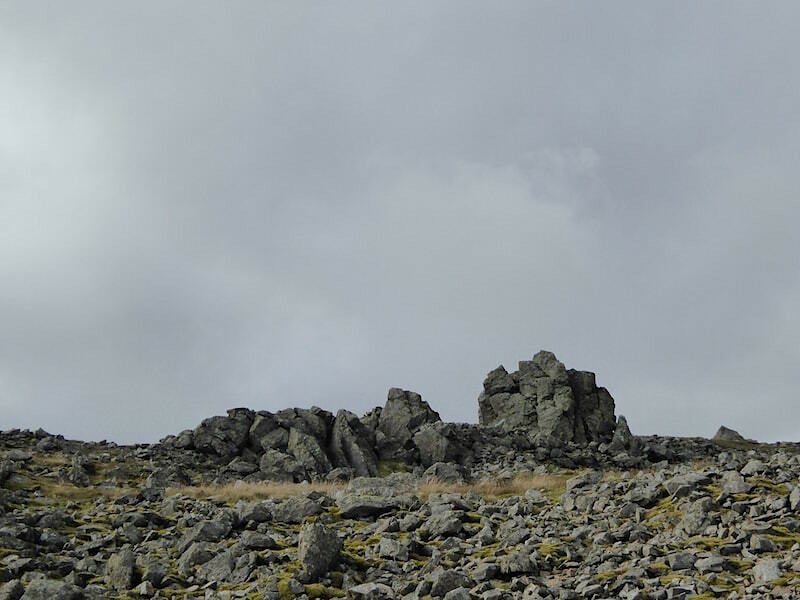 Its a bit of a dull trudge, over tussocky grass, from the chimney up to the summit but here we are, finally approaching Raise’s rocky summit area. 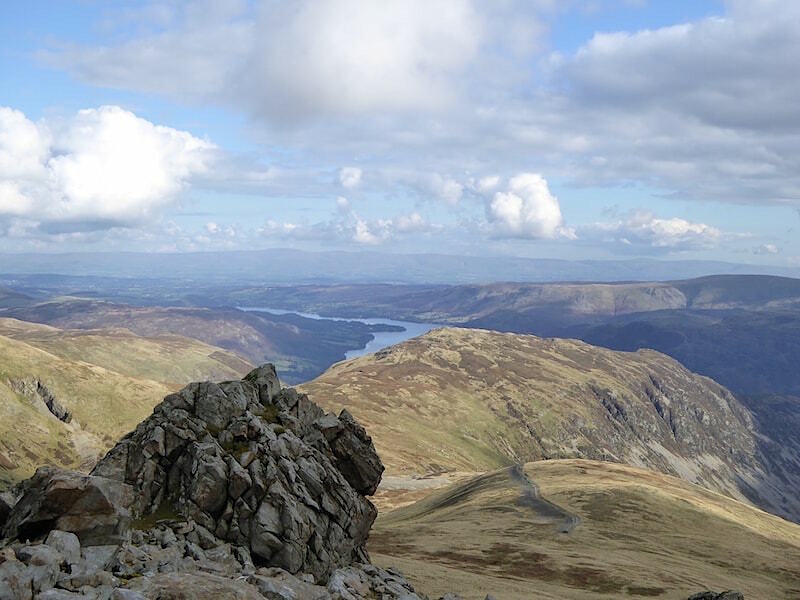 Looking down over the rock outcrop to The Chimney, Sheffield Pike and Ullswater. Looking eastward as we get closer to Raise summit. 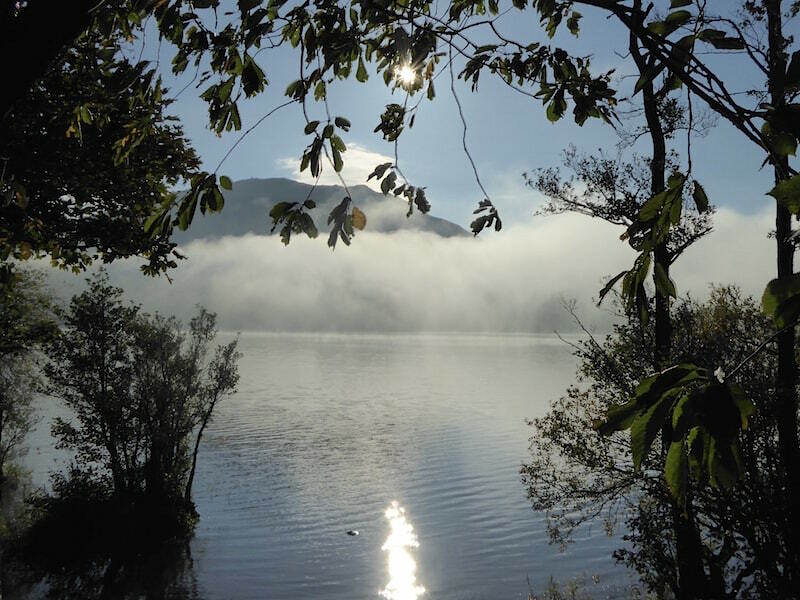 The cloud was increasing all the time and the sunny spells became less frequent. Raise summit and the blue sky has almost disappeared. 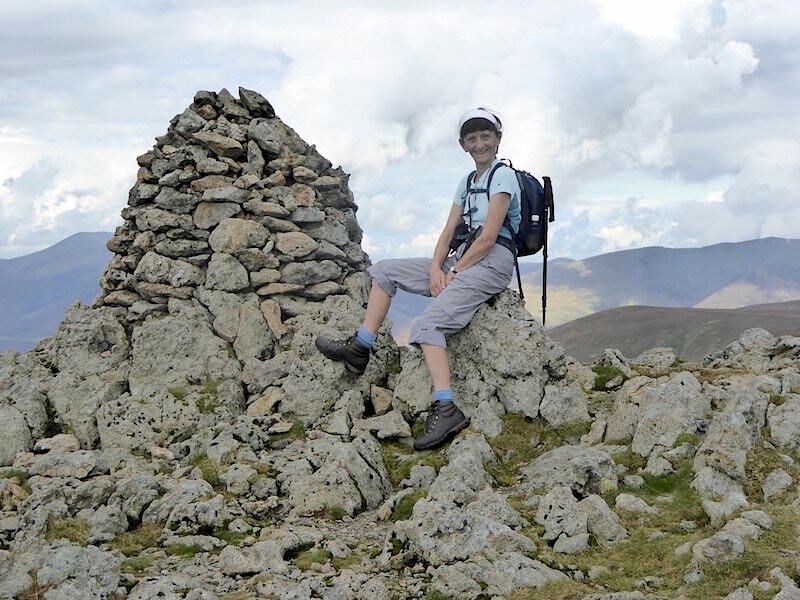 Never mind the sky, I’m just pleased to have a sit down for five minutes and give the legs a rest. 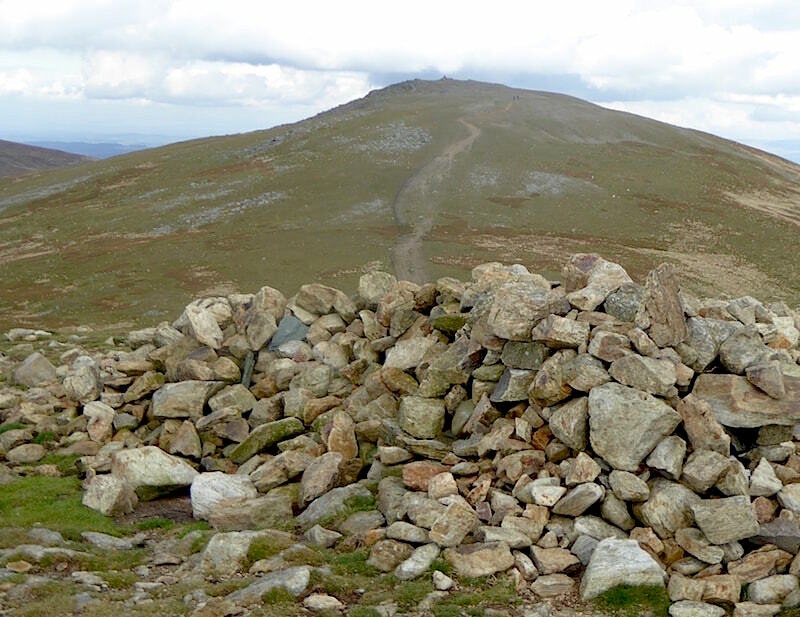 Stybarrow Dodd from Raise summit. 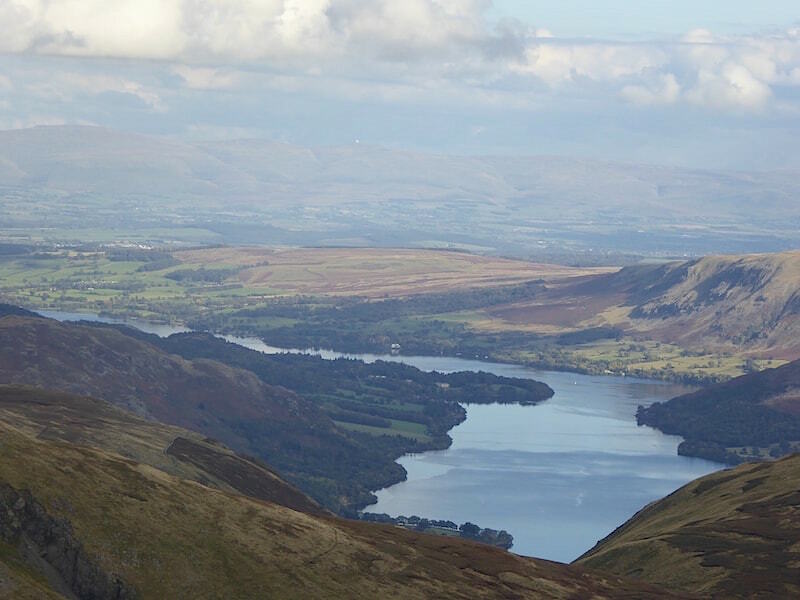 Ullswater with the Pennines beyond from Raise. 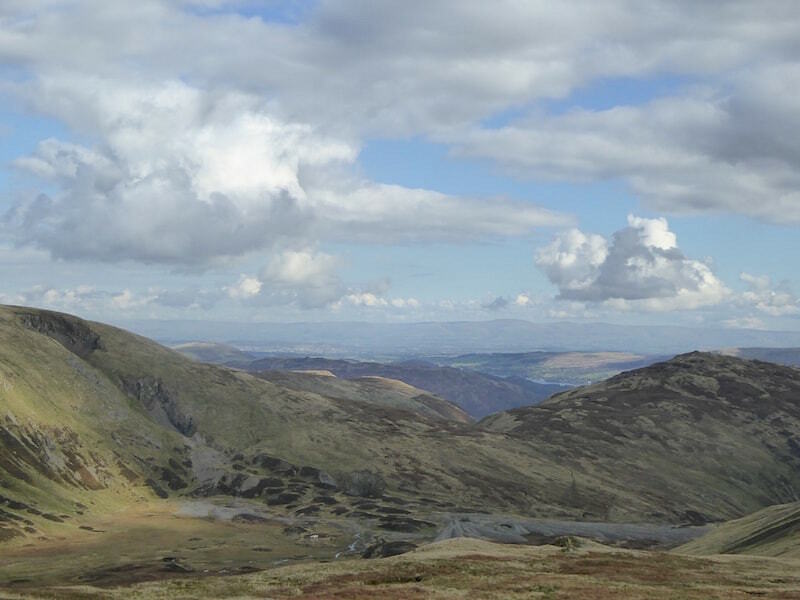 If you look closely you may see a white object on the right hand one of those three fells on the horizon. 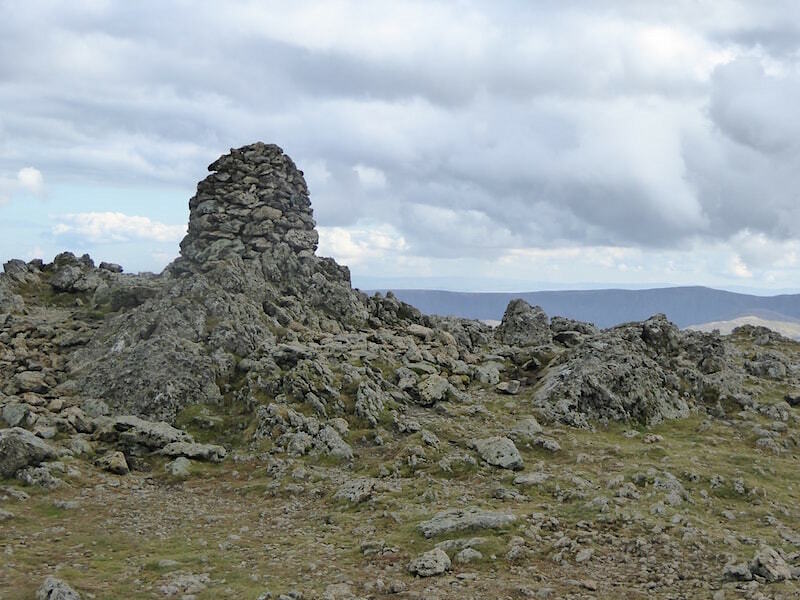 Its one of the radomes on Great Dun Fell and is part of the Civil Aviation Authority’s air traffic control radar installation. 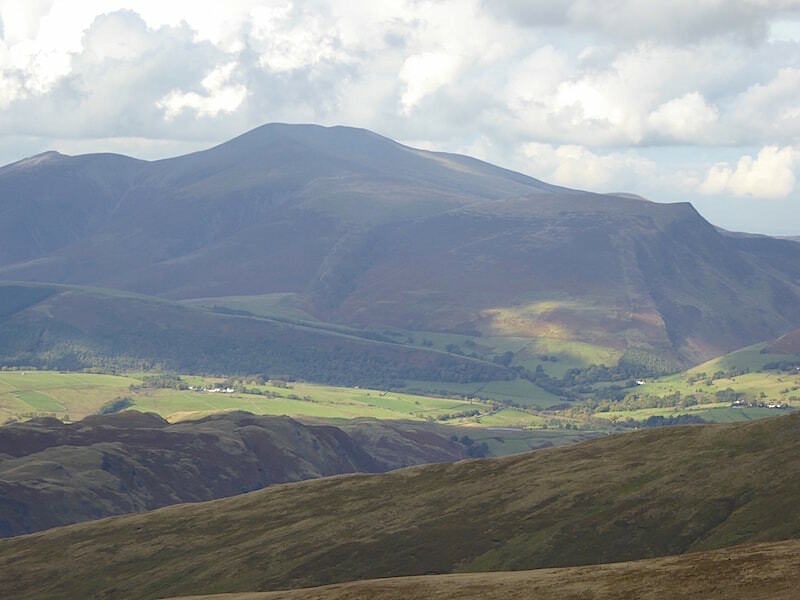 From Raise a look across to a very shaded Skiddaw. 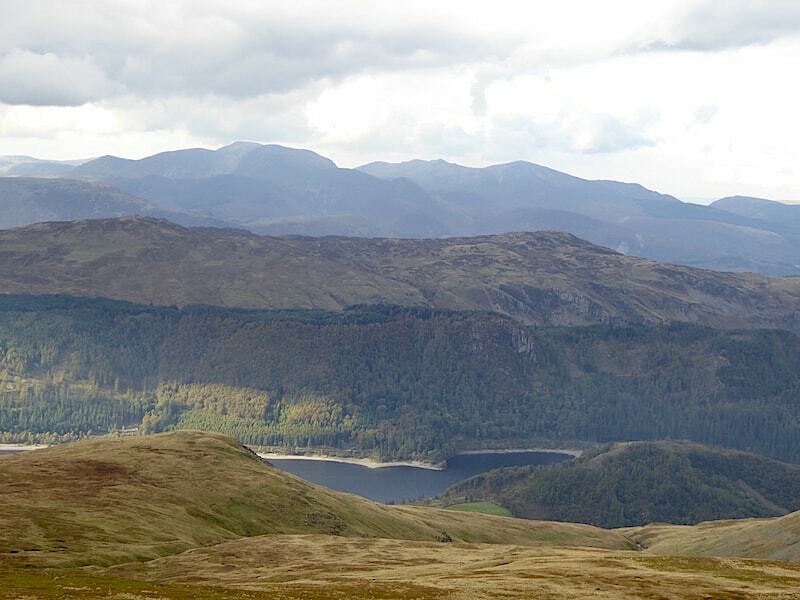 Also from Raise a glimpse of Thirlmere and all the fells to the west. 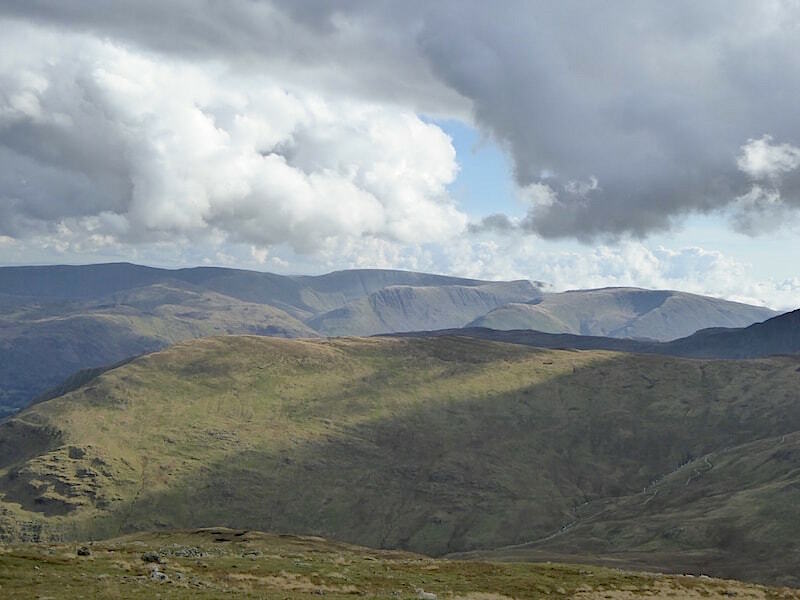 Helvellyn Lower Man on the left and White Side on the right from Raise. 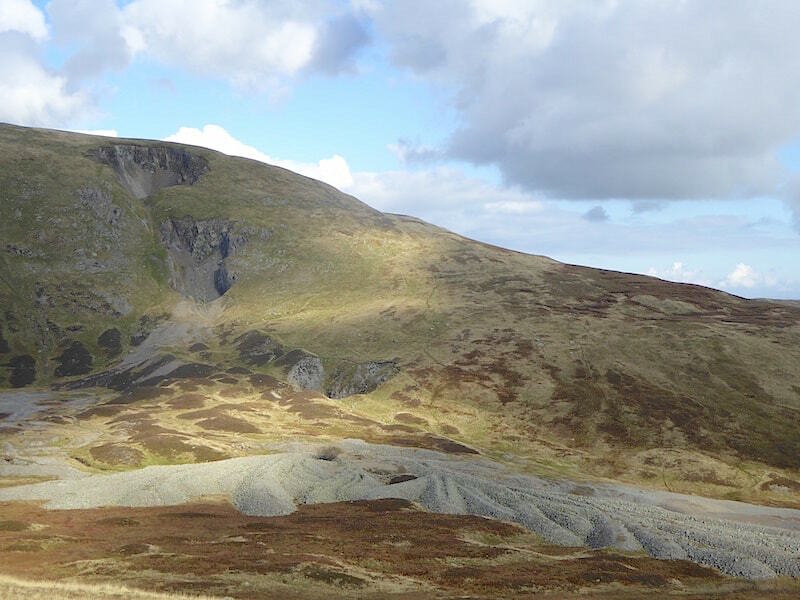 Another view of Raise summit. 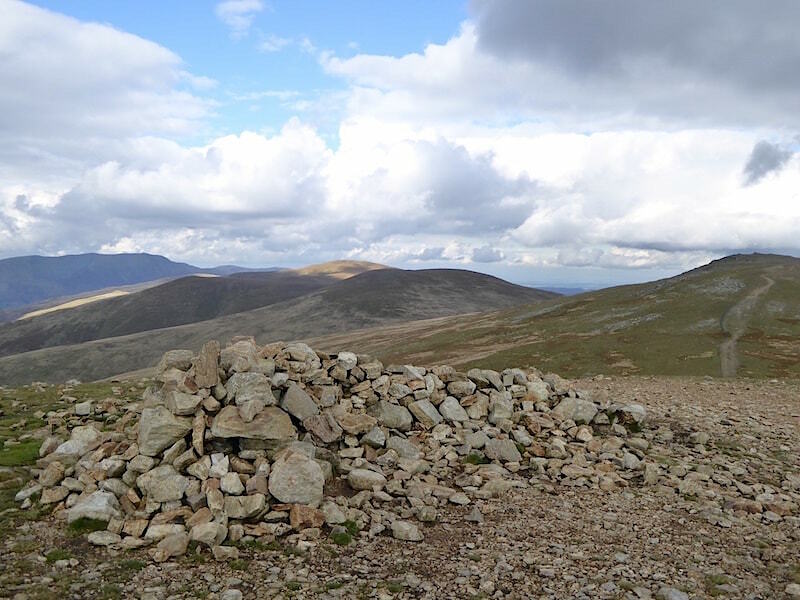 We had a brisk walk over to White Side, this is a view of Skiddaw from the shelter. From White Side a view of the Dodds and the path back to Raise on the right. 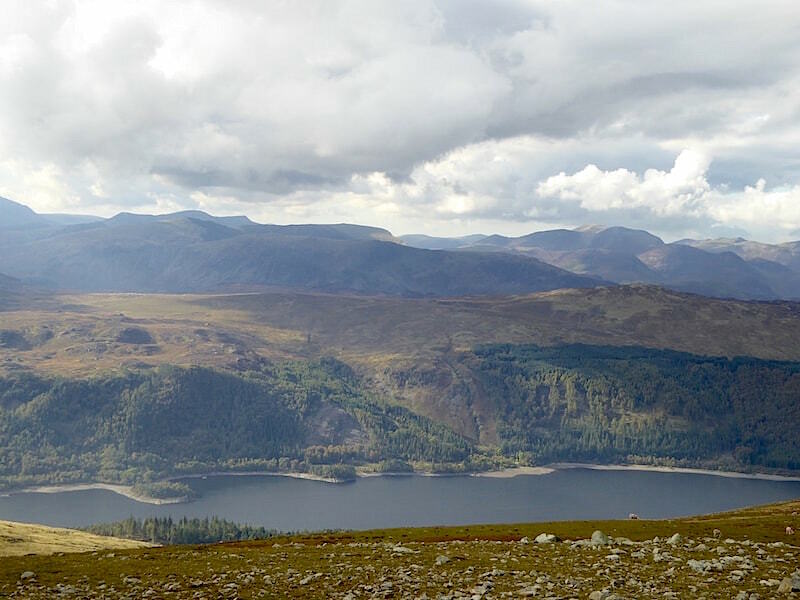 Another view down to Thirlmere and the fells beyond, this time from White Side. Brown Cove Crags from White Side. 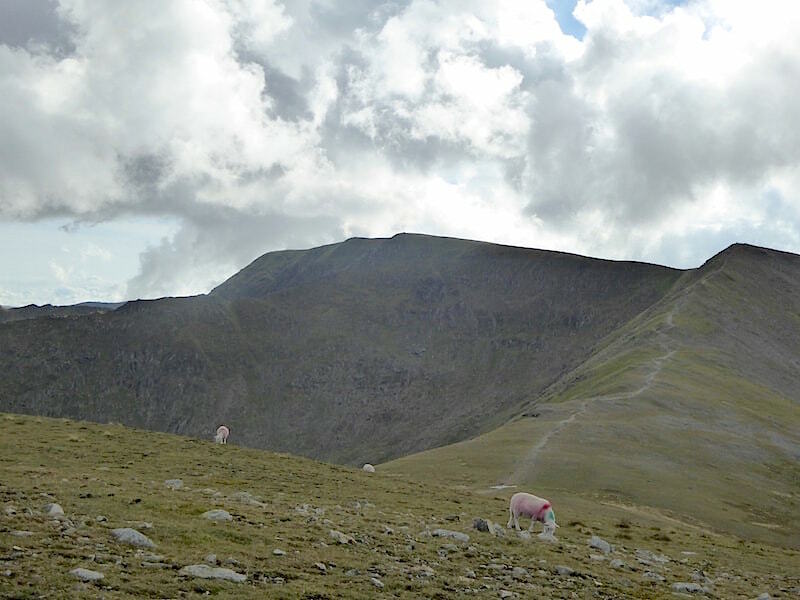 Helvellyn and Helvellyn Lower Man from White Side. 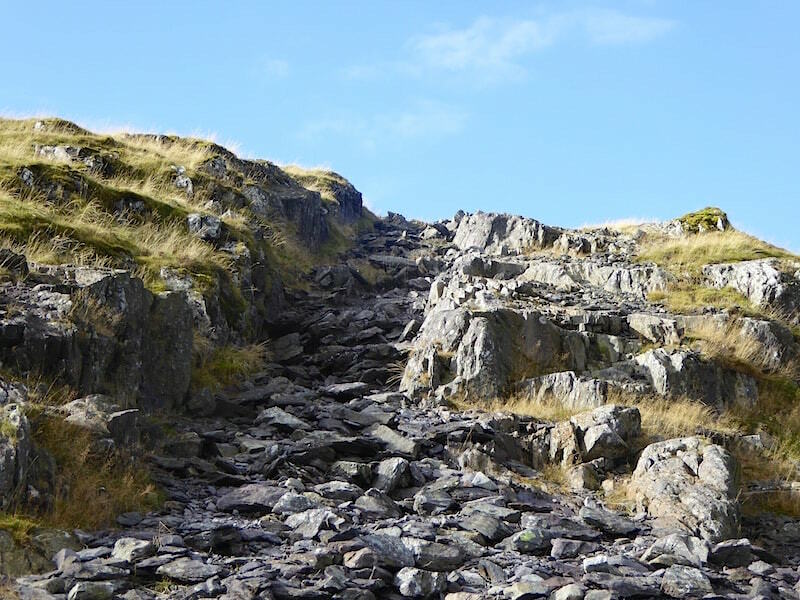 The path back to Raise from White Side. 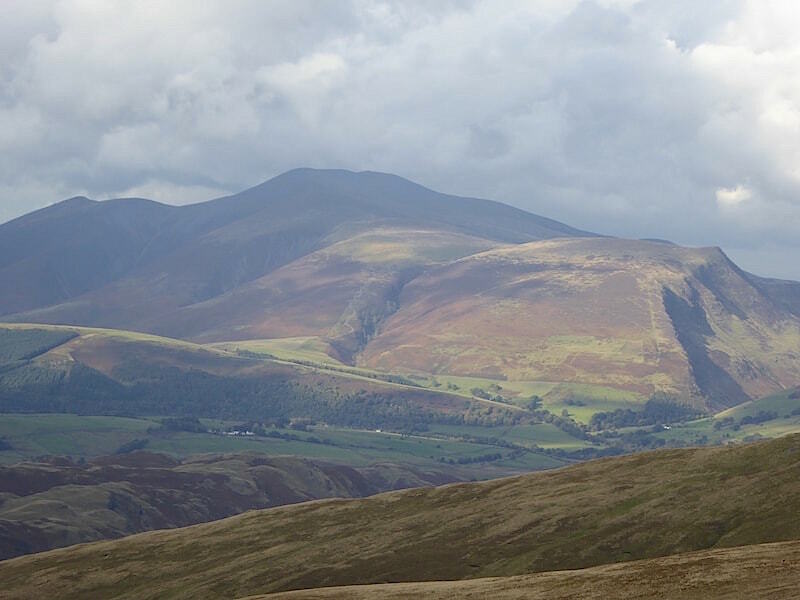 Skiddaw is still in the shade but Lonscale Fell, to the right, manages to catch some sunlight. 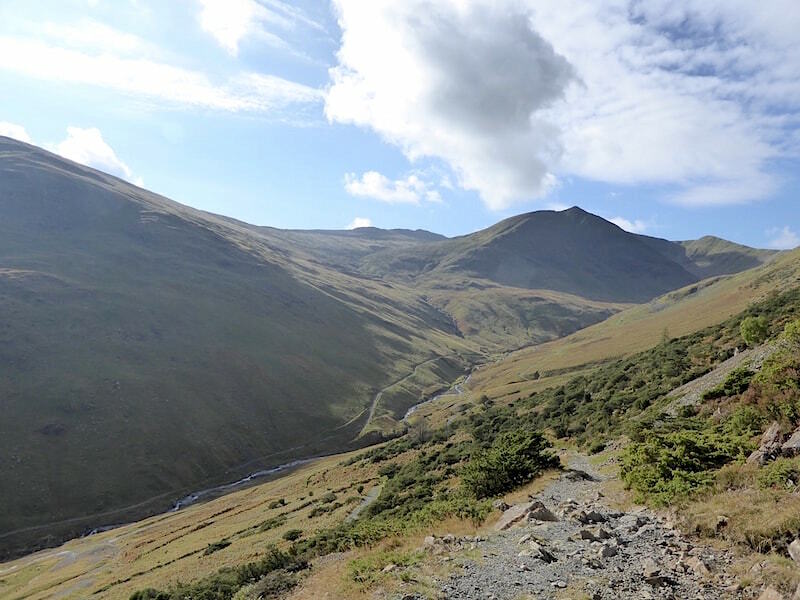 We take the path back to Raise and from there we begin the descent to Sticks Pass. 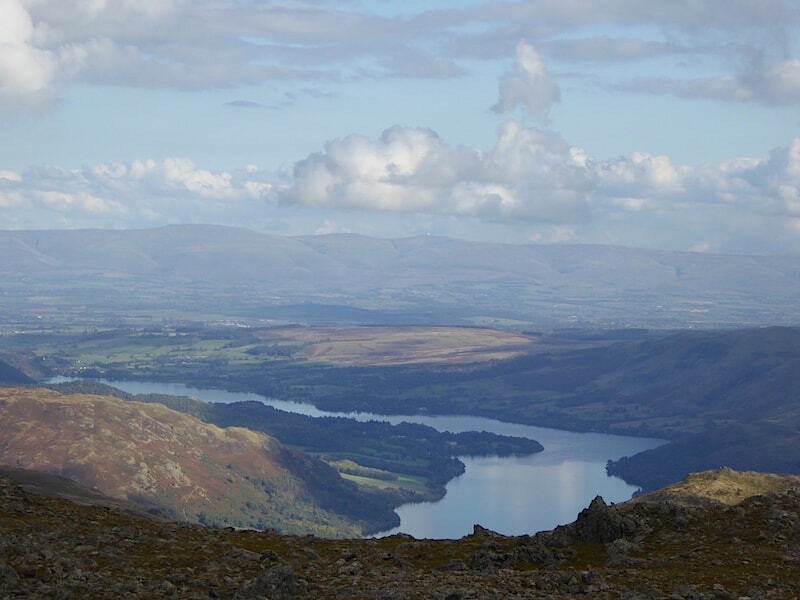 This is a view of Ullswater from the descent.The white radome on the centre of the skyline is showing a little more clearly now. 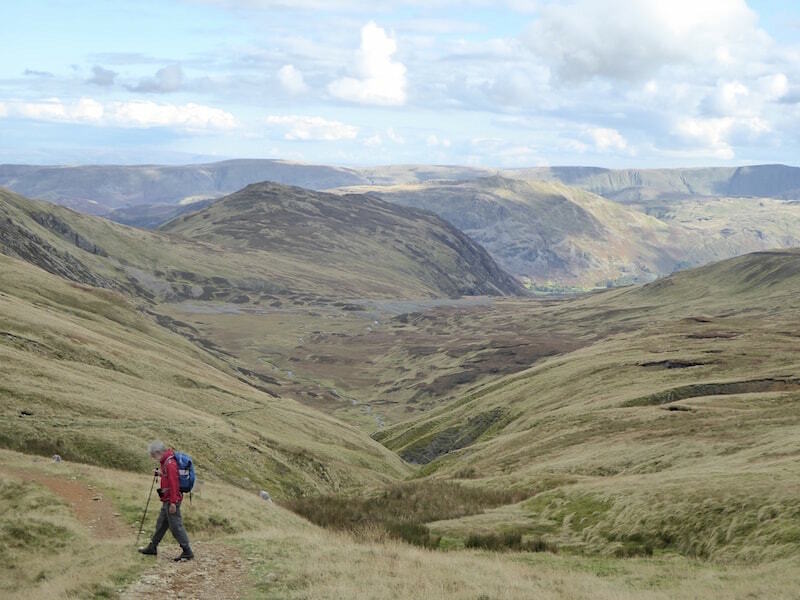 The descent down Sticks Pass with Sheffield Pike taking centre stage. Zooming in on the Raise ski tow from the Stick Pass path. 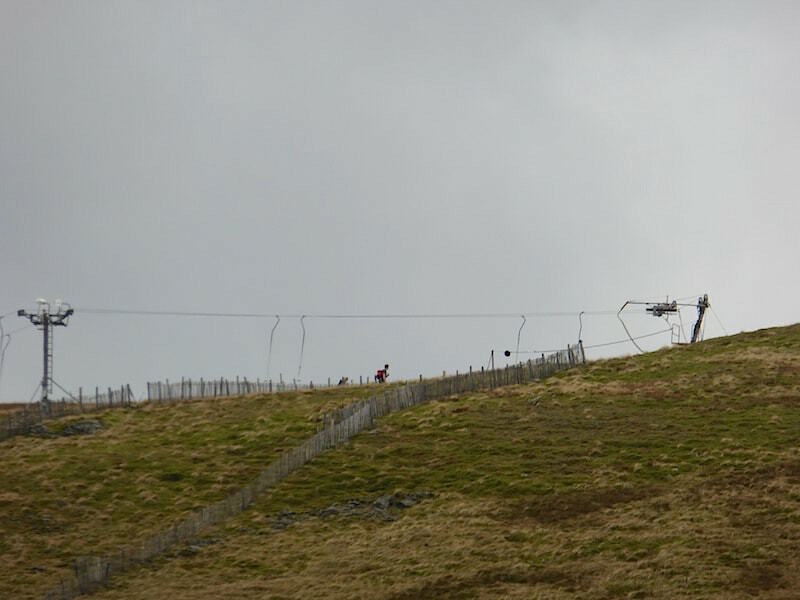 The ski tow also attracted the attention of these two walkers who had a good look around before moving on. 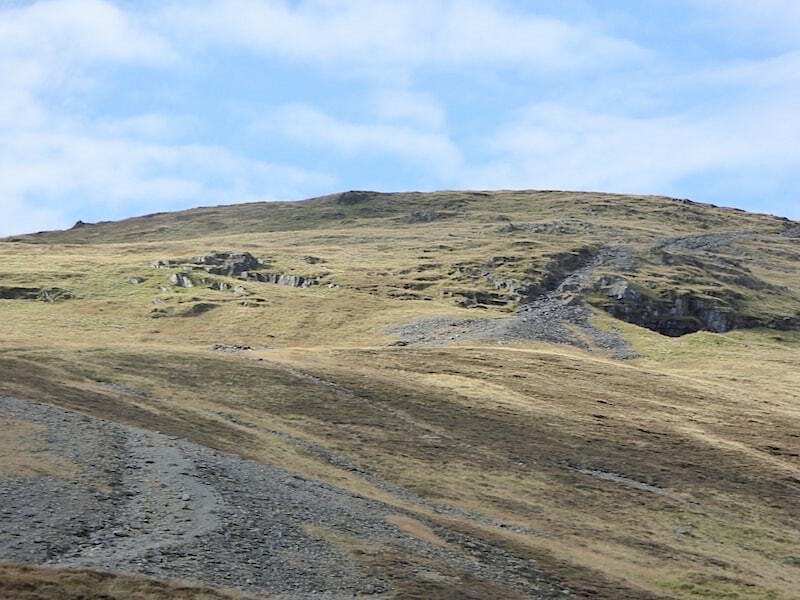 We’re back down at the upper mine area now, so I take a look back at Raise and the Sticks Pass route down before we continue. A look across at Sheffield Pike from the Swart Beck crossing. 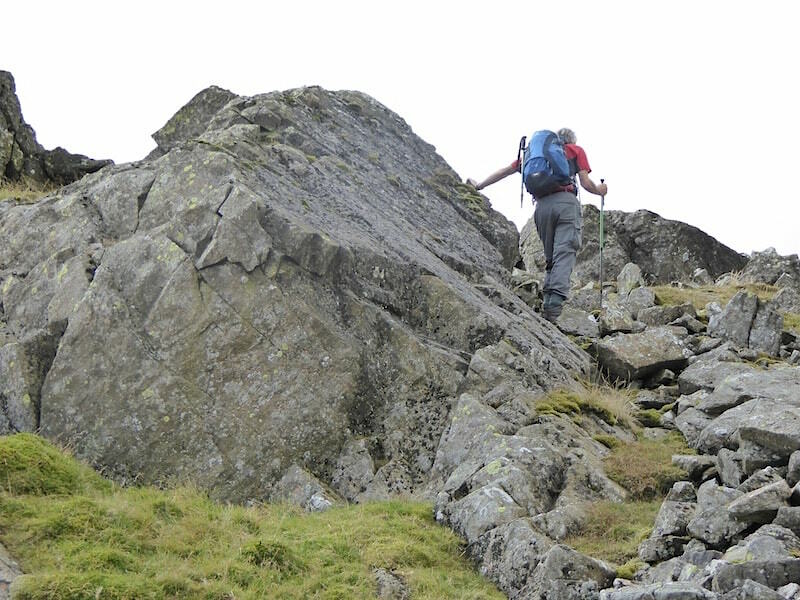 The start of the route to The Chimney, which I meant to take a shot of this morning but forgot. From the same position a look towards Stang End. 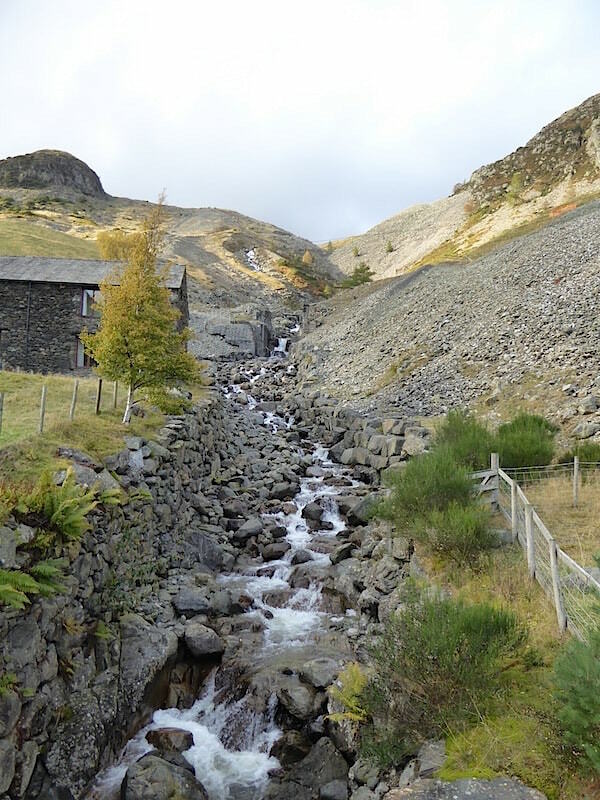 Looking up Swart Beck as we make our way down to Glenridding.. 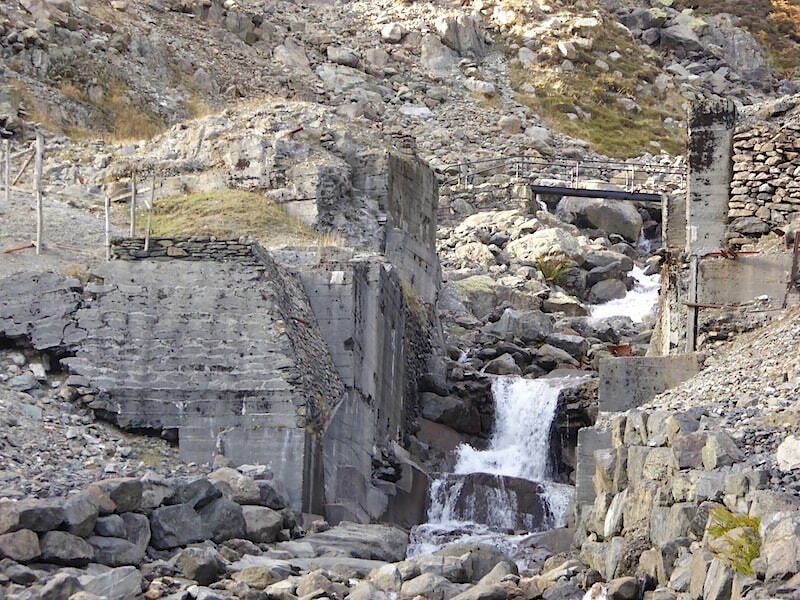 Finally, a close up of what remains of the demolished mine buildings alongside Swart Beck. 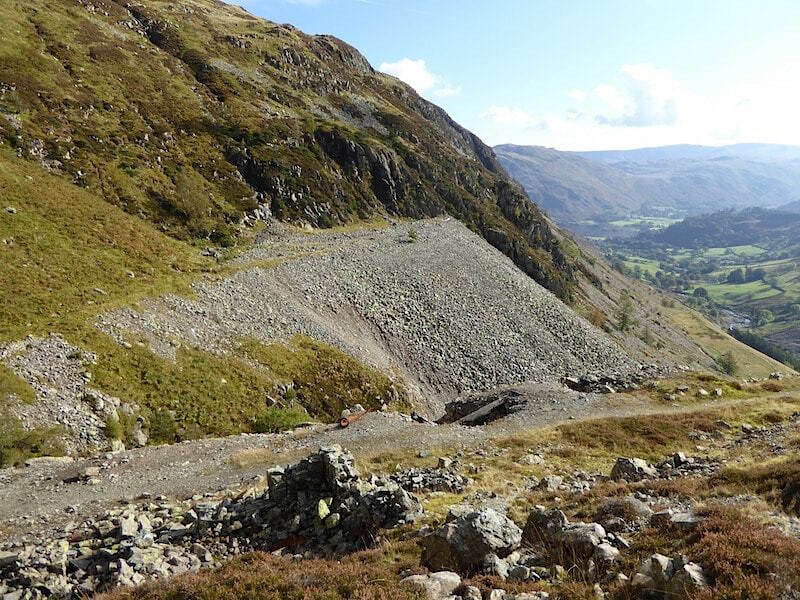 From here its just a straightforward walk down the mine road back into Glenridding and the short drive back home.